Trevor Joy Sangrey is a PhD candidate working in history, education, american studies, race and ethnicity studies, and gender studies, with a focus on social movements. Trevor’s dissertation project, entitled “’Put One More “S” in the USA’: Pamphlet Literature and the Productive Fiction of the Black Nation Thesis,” looks at the pedagogical possibilities opened up by social movement small press literature through a case study of the Communist Party, USA, and the 1930s Black Nation Thesis. 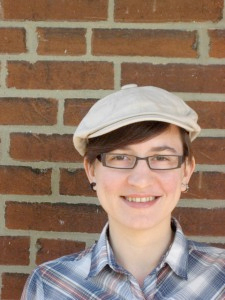 Trevor also teaches and has published in the interdisciplinary field of Transgender Studies.